Just like your gastrointestinal tract, and the soil we walk on — a dust storm has a collection of bacteria, fungi, and viruses all its own called a "dust microbiome." Think of a microbiome as a community of microbes living and working in a shared environment. In your gut, the bacteria, fungi, and other critters living there have a great piece of real estate — the gut delivers food is regularly, and the bloodstream is a pretty decent transportation system. Your gut microbiota gives your immune system a boost, help your body fight pathogens, and speed your digestion of vitamins and nutrients. A dust microbiome has some similar capabilities. Dust storms can carry healthy, and unhealthy, bacteria across large stretches of land, impact agricultural regions by spreading nitrogen-fixing microbes, and aid in cloud formation. Dust storms mix and mingle inhabitants of the soil biome with the air. A dust storm, like the one above, in Phoenix in 2011, is composed of debris picked up from the terrain it covers, and also particulate carried in the air. A study published in the journal of Environmental Science & Technology took a closer look at what's inside that big wall of dust. Even a minor dust storm stings your face with grit. Dust storms have a sizeable number of inhabitants, including fungi, bacteria hitching a ride on soil, plant debris, pollen, and whatever lightweight detritus gets picked up along the way. For this study, researchers at the Weizmann Institute of Science in Israel had ample opportunity to study dust storms that travel from the Sahara, Saudi Arabia, and Syria. While dust storms occur naturally in many global regions, in other parts of the world — like the US — climate change is fueling an uptick in dust storms as the soil dries out and becomes more easily airborne. "Haboobs," or large dust or sand storms, occur in desert regions of the world, including the US. In the Weizmann research, scientists explored the role dust storms might have in transporting multi-drug resistant bacteria. While agricultural practices, and the wholesale use of antibiotics in animal feed, speed the development of antibiotic-resistant microbes, resistant organisms occur naturally in the soil as well. The danger of dust to human respiratory health is well known, but what about bugs on the wind? Bacteria easily trade genes with each other, in a process called "horizontal transfer." The capability makes it pretty easy for bacteria to swap genetic tendencies, like antibiotic resistance. Researchers note some of the sources of these more virulent types of bacteria are picked up by dust storms from sources like chicken coops, and from agricultural or ranch lands. From major dust storms in 2014 and 2015, scientists gathered dust samples from wind storms from Jordan and the Arabian Peninsula, as well as two large North African dust storms, for comparison with air samples collected on nine clear days. Using DNA-extraction and sequencing techniques, along with satellite imaging to backtrack the build and movement of these storms, researchers were able to investigate the components and capabilities of dust on the wind. Not surprisingly, the bacterial content of dust storms reflects the terrain over which they pass. A dust storm that scoured over agricultural soils carried different bacteria than storms that passed through regions of undisturbed arid lands. From Syria, one dust storm had relatively high numbers of Cyanobacteria, which are associated with water, algal blooms, and some neurotoxins. The authors refer to the clustered bacterial tendencies of each dust storm as its "signature." One group carried bacteria associated with desert soil, as well as other bacteria usually found near water. Another cluster had both desert and soil bacterial along with microbes that are typically known for decomposing plant material. These signatures result from complex factors including the unique path taken by each dust storm, and the wind speed and its direction before the arrival or formation of the dust storm. The diversity of bacteria located in dust storm samples suggests that the place of origin of the storm has a large impact, but that local bacterial communities can mix and dilute that impact as the storm covers more ground. Because of that, the threat of drug-resistant bacteria from the distant site of the storm's origin is less a problem than local drug-resistant bacteria forming as a result of irresponsible human use of antibiotics. The number of bacterial and fungal microbes in the air rise dramatically during a dust storm. Walking or moving around in a storm boosts exposure rates. Researcher Yinon Rudich, of the Weizmann Institute, noted in a press release: "We found that as more 'mixing' occurs between local dust and that which comes from far off, the lower the contribution of the imported antibiotic resistance genes." In March, the National Oceanic and Atmospheric Administration noted the "dramatic increase" in windblown dust storms in the Southwest US. Scientists suggest the increase could be from the drying of soil caused by changes in sea temperatures in the Pacific. Their research reveals the average number of dust storms in the Southwest has jumped to 48 per year in the 2000's, compared to about 20 per year in the 1990's. Worse yet, the boost in dust storms may be driving an increase in infectious disease spread through inhalation of contaminated dust. 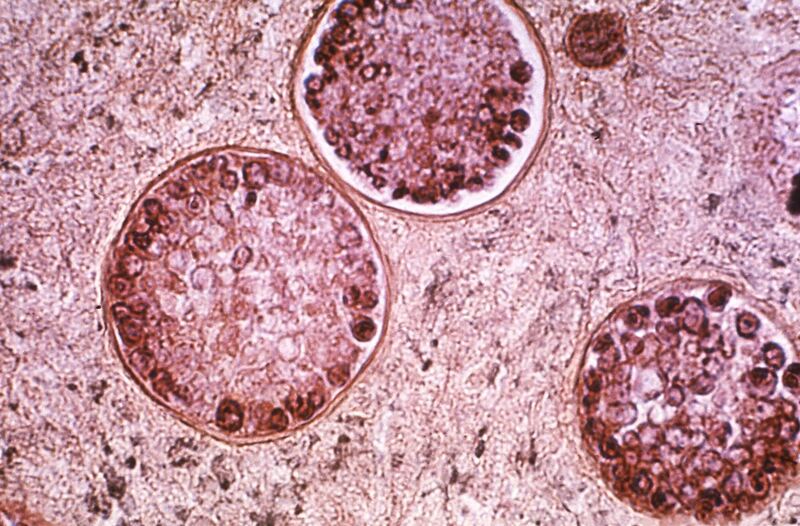 The soil-borne fungus Coccidioides immitis is spread by inhaled spores, and causes an infection commonly called "Valley fever." While some people exposed to Valley fever experience no symptoms, others become seriously ill with respiratory troubles, and between 5% and 10% suffer persistent infection. In about 1% of victims, the infection spreads from the lungs to the brain, spinal cord, and beyond. 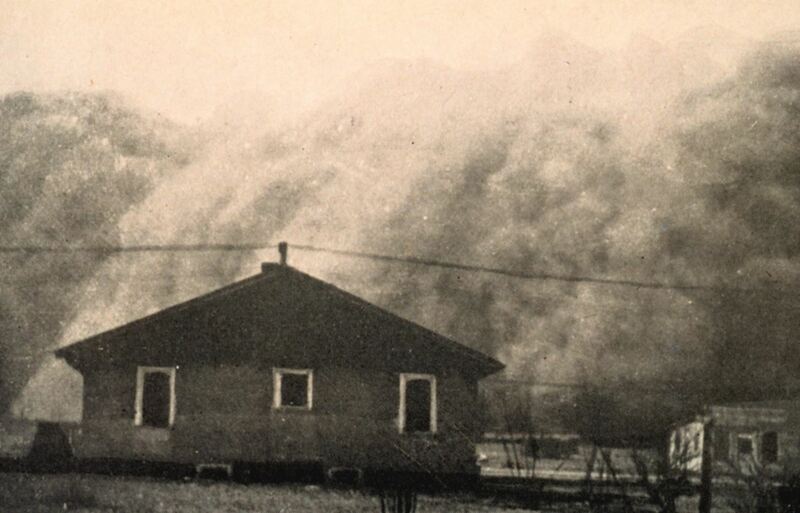 While dust storms are not the sole cause of the increase, study authors note the incidence of infection with Valley fever in the US rose more than 800% between 2000 to 2011, roughly the same period dust storms have jumped in occurrence. In a storm, or on your car, there is more than meets the eye in the dust. If climate change accelerates, managing the microbiome and impacts of dust storms may prove a bigger challenge in the future.